With the required all four segments, Zinkerz TOEFL app nearly replaces your coaching center. Also has features like FlashCard, ZinkZone a performance tracker etc. Highly recommended. Most of the talented students who live outside US, always wanted to study in reputed universities of United States of America. For that they need, not only good knowledge and financial support, they need to pass the TOEFL (Test of English as a Foreign Language) exam to get a place in those universities. Because understanding the slang of the professors and coordination with fellow students are important in pursing those reputed degrees which lead to high-paid jobs and dream life. So they usually enroll in TOEFL coaching. In this digital world, you have no need to spend time to travel to those coaching centers as wonderful apps are now available on your palms that train you. One such wonderful app is Zinkerz TOEFL from Zinkerz Technologies LTD. The Zinkerz TOEFL app is available for iOS devices like iPhone, iPad, and iPod touch and requires iOS 6.0, which means users with older iOS devices can also make use of this app. Zinkerz TOEFL app is developed with top educators, so that you can even skip your regular coaching center. This Zinkerz TOEFL app has got that much features and a clean interface will please you to learn. A TOEFL exams consists of four segments: Speaking, Listening, Reading and Writing. And this Zinkerz TOEFL app consists tests for all of them. You can just throw those outdated books as this app gets latest contents. And that does not mean you need frequent data connection. The Zinkerz TOEFL app totally works offline and require occasional connection for updates. 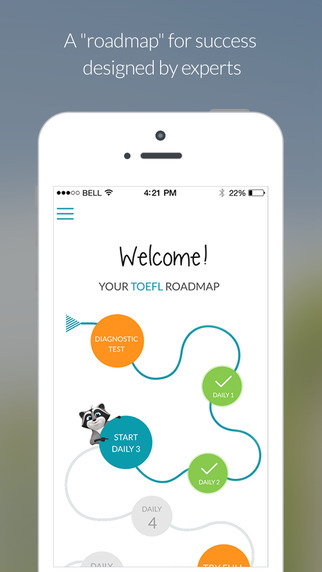 The Zinkerz TOEFL app got a road map to stay organized. It contains full exams that test your knowledge in all four segments of TOEFL. You can start from diagnostic test and take daily tests one by one. You could see that even that screen get clean interface. ZinkZone, a performance tracker is available with the app. This assists you to self evaluate you and plan your progress. 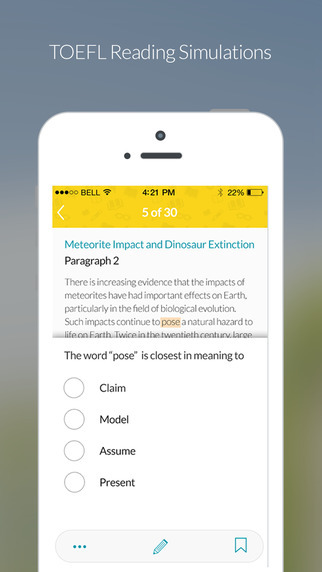 The Zinkerz TOEFL also app got Flashcards, which check you some important TOEFL words. You can use it remember that words or discard once you feel confident that you will never forget that word. Else you can keep that word in the stack, so that the app shows you again. 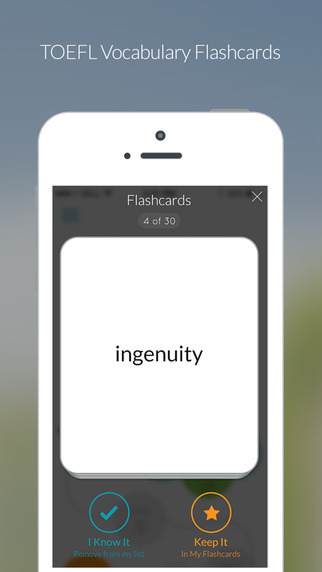 The words shown in the Flashcard are random and we really liked this feature. Zinkerz TOEFL app also got listening exercises, which plays an audio and you need to select appropriate answer of the conversion involved. Then there is questions with step-by-step answers. 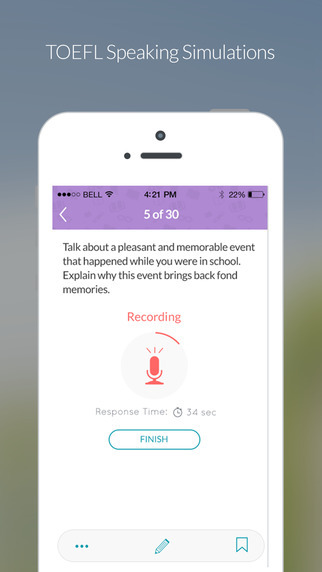 Overall Zinkerz TOEFL app makes learning much fun.